Low carb stands for a variety of different diets where the carbohydrate content in the diet is significantly reduced. Typical examples are the Atkins diet, the Keto diet or the Low-Carb Mediterranean Diet explains Dietician Sheela Sherawat of Diet Clinic. 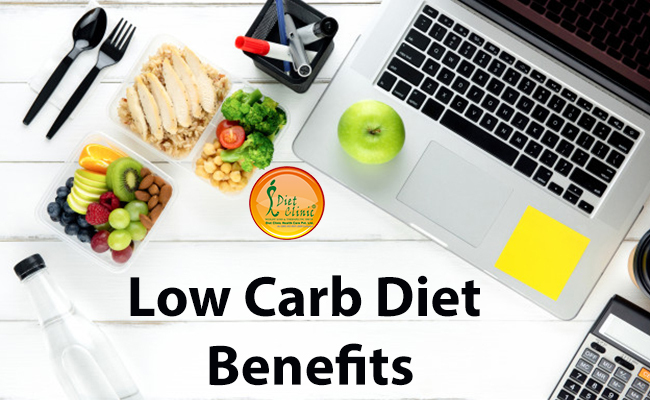 Low carb diet has benefits which make it possible to lose weight without hunger or complete abstinence from tasty dishes, because the high protein and high-fat diet offers a wide range of foods, is filling and keeps the blood sugar level and thus the insulin levels low. As a result, hunger cravings and cravings for sweets disappear again. Besides, metabolism needs more energy to process and transform proteins than it does to digest carbohydrates, which further accelerates fat burning. The recommendations are entirely different, but all aim at providing successful weight loss. With this type of diet high-protein and high-fat foods are allowed so you can eat meat, fish, eggs, and cheese in abundance. Green vegetables and salad have no restriction either. Pasta, rice, and bread should be avoided. In carbohydrate deficiency, the body burns a more significant amount of fat. And it is considered the Best Way To Lose Weight. The basis of the low carbohydrate diet is the fact that the cells use carbohydrates for energy. However, if the body is fed fewer carbohydrates, it is forced to change its metabolism. There is an increase in the liver in the formation of so-called ketones, which are very similar to carbohydrates. For this, the body must resort to the fat reserves. If you ask How To Lose Weight In a Week then the answer is low carb diet. The diet allows the consumption of low carb foods. Depending on the diet, however, Low Carb Foods can be very different. However, in all variants, the low carb diet foods consist mainly of vegetables, fish, meat and dairy products. What is Forbidden in The Low Carb Diet? Low carb diets prohibit foods high in carbohydrates. Depending on the diet, only a certain amount of carbohydrates may be consumed daily as they are not part of the quick low carb diet plan. Idli - Idli is one of the finest low carb foods to consume. It is made by steaming fermented rice batter and black lentils. The process of fermentation breaks down the starch, and it is easily digested by the body. Consuming dal known as sambar with idli is usual practice. Chicken Soup - The perennial favorite of those who wish to diet is chicken soup. It is wholesome, filling and nutritious. To make chicken soup, diced chicken and fry with onions and salt. Add a bit of ginger with garlic. Season with black pepper and cook till the chicken is brown. Add water and little flour. The result is a soup with high protein content.